Wow! It's a beautiful dress :D Good luck at the con! What a beautiful dress...so tailored. Loving this dress! Enjoy BlytheCon! Such a lovely dress, have a great time in Brighton! Gorgeous dress! See you on Saturday! I love your work <3 little treasures! Enjoy Brighton! They'll have a treat with your beautiful Blythe dresses. This is such an elegant and gorgeous dress! Enjoy Brighton. Your beautiful dresses will give them a treat! ¡Ohh me encanta el vestido! 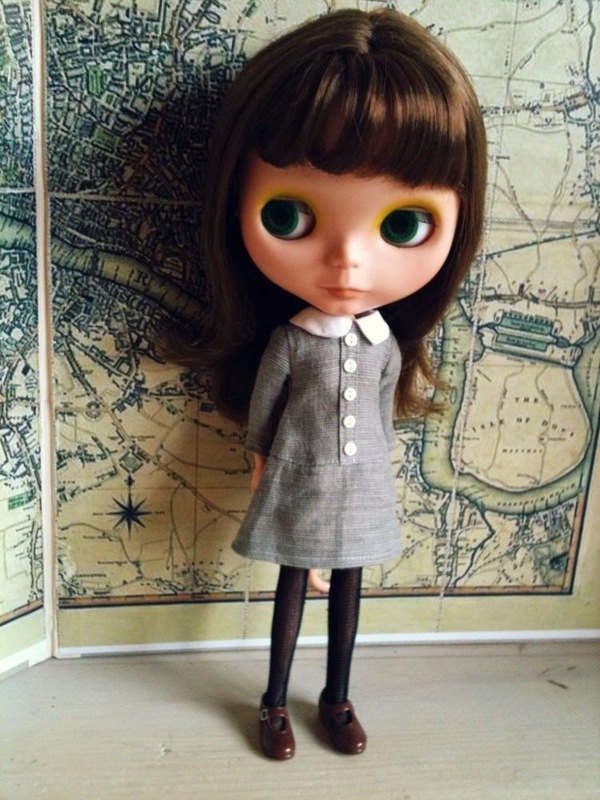 I wish I could join BlytheCon! Have fun! Lovely giveaway! :D xxxxx Heres hoping! Thank you for the giveaway, I love this dress! It's adorable! Thank you Hilary. I hope you have a fab time. I love this dress! Have fun at Blythecon! Hope hope hope!!! I love your designs so much! So very sweet! Thanks for the chance, Hilary! Love the dress - I hope to see lots of photos from Blythecon! I would just love to win this dress. thanks for the chance! Always the best...<3 this one. I don't know if this worked lol.